We work with our world class technology partners to provide our clients the best fit radio network plan, and assists our clients with all aspects of network planning and design from greenfield siting to complex multi-technology and frequency optimisation. TeleResources is highly experienced in nominal radio planning and designs of various wireless networks ranging from 2G/3G, WiMAX and LTE networks. Having strong partnership and understanding of our technology partners’ tools, we are able to address specialised planning activities such as network model tuning, coverage predictions, interference and traffic analysis, search rings management, RF Technical site surveys and EME compliance requirements. With an ever increasing demand for a seamless anytime, anywhere network coverage, and move to an more IoT environment, TeleResources combines its technical expertise in network planning and design with the latest all-in-one network planning, optimisation and simulation solution for Small Cells, DAS and Wi-Fi across indoor and outdoor environments which also integrates with macro cell networks. 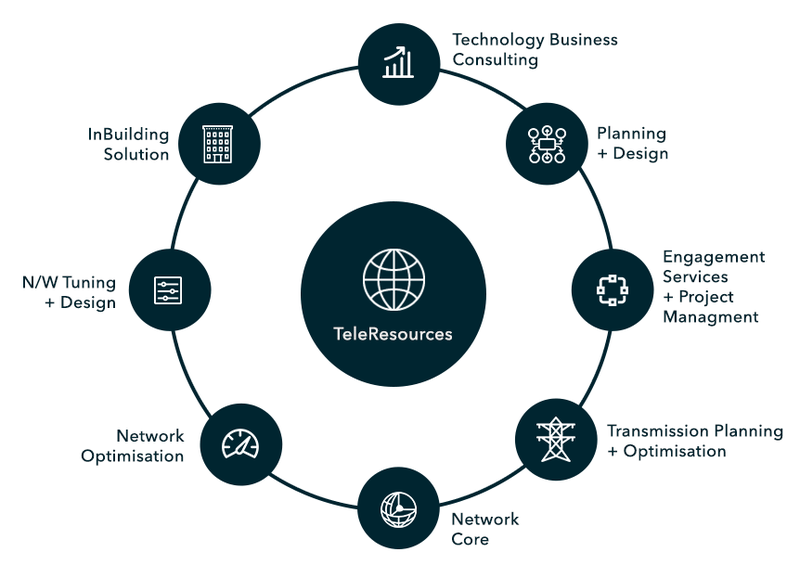 TeleResources offers a number of network performance monitoring and analysis services and solutions to address various network issues such as quality of service, network coverage complaints, new service and features management, and outsourced optimisation services. Technical transmission planning and design activities performed include link budget planning, Line of Sight Surveys, cutover planning and rehoming, network redundancy and disaster management. Visionstream needed our assistance to develop a project plan for the design and construction of thousands of cell sites for the expansion of the Optus network. We worked closely with the Visionstream team over a period of many months to develop a winning bid. We subsequently provided a National RF Design Manager to assist Visionstream.